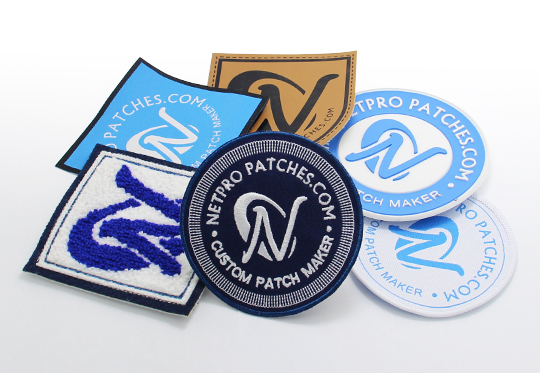 As a Chinese embroidery factory,we at Netpro Patches pride ourselves on being a pioneering manufacturer of both custom patches and embroidery patches. We understand that each customer has separate needs for their order, and we focus on handling these requirements with the utmost efficiency. We offer the highest quality custom patches, embroidery patches, woven patches, chenille patches, motorcycle patches, leather patches, PVC patches,and more. Formed out of quality fabrics using the most cutting-edge techniques available, the patches produced by us are of the best quality on the market. Netpro Patches has more than 15 years of embroidery experience, and our professional team of designers usesits combineddecades of experience and rare depth of expertise to produce only the best-crafted patches. If you wish to receive your order at the earliest possible date, we at Netpro Patches successfully provide extra fast turnaround on rush orders -- within 2-3 business days after the approval of your design. Designs can either be mailedto us or they can be selected by browsing from the gallery section of our website. We look forward to hearing from you and can’t wait to give you the exact patches you’re looking for! You never let me down. Excellent service, fast shipping, and amazing work.